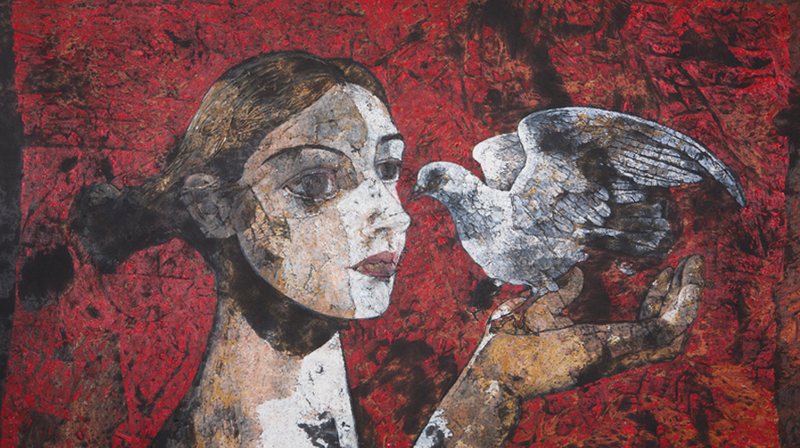 Visit the Pontone Gallery’s latest exhibition this summer featuring a series of works by Jamil Naqsh, the best known contemporary artist from Pakistan. The paintings employ modern motifs that have been long identified with Naqsh’s work, however, he uses them in ways, that to a European audience, seem even more closely attuned than formerly to aspects of the European classical tradition. His work reflects the culture of Pakistan as well as the role of the Indian Subcontinet, both Muslim and non-Muslim and are tranquil paintings which are certain on the story they want to share.